Dr. Siegel received his M.D. and Ph.D., (Biochemistry), from Washington University. He did much of his research at Oxford University, England. He completed his Internship, Residency and Allergy Fellowship at Children’s Hospital, The Harvard Medical School, Boston, Massachusetts. 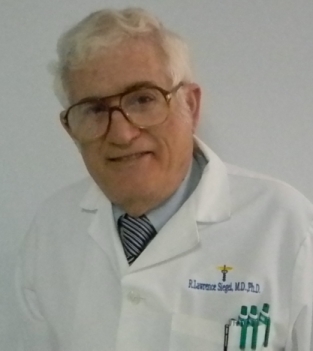 Dr. Siegel is certified by the American Board of Allergy and Immunology and the American Board of Diagnostic Laboratory Immunology. As a Board Certified Allergist and Immunologist, Dr. Siegel specializes in the diagnosis and treatment of allergic diseases (such as hay fever, food allergies, conjunctivitis, eczema and drug reactions), asthma, and immunologic disorders in children, adolescents and adults. Dr. Siegel provides allergy testing by skin testing or RAST (blood) testing, and also performs pulmonary (lung) function testing and immunologic evaluation.